AMERICAN HORROR STORY: APOCALYPSE—a season that includes the characters of MURDER HOUSE and COVEN, as well as new faces—premieres tonight (Wednesday, September 12). APOCALYPSE ”begins with the end of the world…and then our world begins,” executive producer Alexis Martin Woodall teased at TCA. 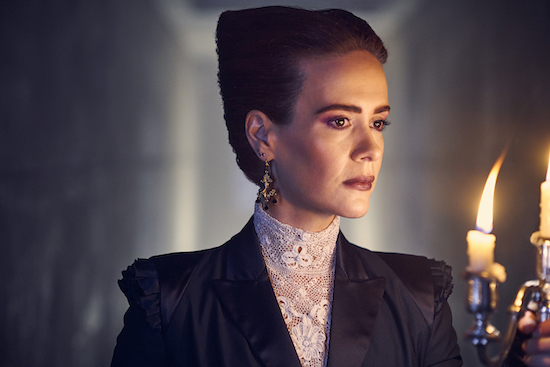 Though additional details are scarce, the official AMERICAN HORROR STORY: APOCALYPSE cast photos (which includes franchise newbie Joan Collins) are absolutely stunning. Check them out! With one week until the latest season of AMERICAN HORROR STORY drops, the first full-length APOCALYPSE trailer is here. The season—a crossover with the MURDER HOUSE and COVEN worlds—”begins with the end of the world…and then our world begins,” executive producer Alexis Martin Woodall teased at TCA. The first full cast teaser for AMERICAN HORROR STORY: HOTEL is here. 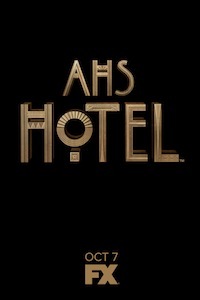 AMERICAN HORROR STORY: HOTEL debuts Wednesday, October 7 at 10 PM on FX. AMERICAN HORROR STORY: HOTEL made a splash with its first piece of casting (Lady Gaga! ), and the next two members of season 5 have been announced: Matt Bomer and Cheyenne Jackson. The announcement was made during the AMERICAN HORROR STORY PaleyFest panel on Sunday night. Both men have a history with AHS co-creator Ryan Murphy: Bomer briefly appeared in the FREAK SHOW season, was a part of Murphy’s THE NORMAL HEART, and guested on GLEE. Jackson appeared on GLEE. Are you excited to see Bomer and Jackson on AHS? Lady Gaga has joined the FX anthology series, AMERICAN HORROR STORY for its fifth season. Other cast members — and a premiere date — have yet to be announced, but it’s likely there will be a bit more insight during the show’s March 15th PaleyFest panel. Are you excited to have Gaga on AHS? AMERICAN HORROR STORY: FREAK SHOW is making its debut on October 8th on FX, and now the network has released the official cast art for the season. As you might expect, it’s fantastic/a little bit creepy.